Atlantic Pump offers Aurora pumps in Maine. Aurora’s wide selection of pumps and pump systems is manufactured for municipal, industrial, and commercial applications. Aurora pumps distributed by Atlantic Pump meet the demands of industries requiring commercial pumps in plumbing and HVAC, as well as recreational pumps. Pentair Aurora pumps have built a reputation on long lasting performance and consistent, quality manufacturing. 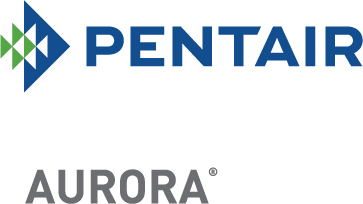 With its 95 year history and commitment to excellence, Pentair Aurora continues to manufacture pumps incorporating the latest in pump technologies. The engineers at Atlantic Pump have outstanding experience in all markets where pumps are used, supplying solutions to engineering firms, contractors, and end users. As a factory-trained distributor stocking Aurora Pump products, Atlantic Pump is here to assist. Aurora Pump provides total pump solutions for fire protection. Aurora Pump manufactures pumps industrial applications such as spray booths, process water, cooling water, transfer, and recirculation. Pumps suitable for marine, oil, and gas applications include reciprocating pumps, horizontal split-case pumps, process pumps, industrial vertical inline pumps, horizontal split-case pumps, vertical split-case pumps, and vertical turbine pumps. Aurora pumps help municipalities secure water – whether from the sea, ground, or surface. These pumps can also help control flooding or assist in managing wastewater. Aurora’s high-pressure membrane feed pumps are designed to create potable water through reverse osmosis applications, and also to move the water to people who need it.